Prior to his internship with Fulton County’s Department of Real Estate and Assets Management (D.R.E.A.M. ), Kaeland Chatman was relatively unfamiliar with the functioning of county government. As a mechanical engineering major at Georgia Tech, this internship offered Chatman an experience to broaden his horizons as it pertains to his career prospects and learn about the behind-the-scenes work involving construction and the maintenance of county buildings that goes into running and maintaining a county government. Throughout his internship, Chatman worked hand in hand with Fulton County staff in developing spreadsheets to better track county construction and the maintenance of county buildings, as well as gaining that information from project managers, who oversee those projects. Chatman also had the opportunity to support other staff in the day to day functioning of the office. Looking back on his experience, Chatman believes that the most successful part of his internship was the creation of the construction and maintenance tracking spreadsheet and the amount of information he learned about the function of county government. For Chatman, the most interesting parts of his internship were the interactions that he was able to have with real contractors that work with the county, an experience that was new for him. 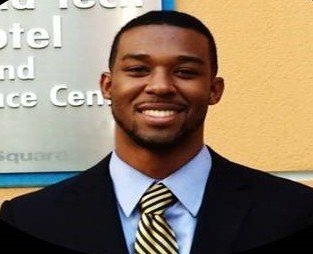 Through his internship, Chatman now has a greater appreciation for the role that construction managers play in county building maintenance and better values the necessity of open communication between project managers, contractors, and other county employees throughout the construction and maintenance process. This knowledge and skill will prove useful, says Chatman, should he decide to pursue construction management as a career. Chatman encourages anyone considering an internship to participate in the GCIP, as he values the knowledge that he has been able to gain as a result of his direct interactions with county personnel. Chatman noted that he would consider a future career in county government, recognizing the benefits that such a career would offer.